In 2015, the Ministry of Education announced the closure of three East Coast schools, Raukokore School, Te Kura o Omaio and Te Whanau a Apanui Area School. The Ministry also announced at the same time, the creation of a new school, Te Kura o te Whanau a Apanui. That’s when DCA Architects of Transformation teamed up with our colleagues at MOAA Architects and won the commission for the new school. Political debate halted any immediate start on the project, and it wasn’t until early 2018 the master planning was started. The design team are also supported by cultural advisors, Rau Hoskin, architect and Dean Whiting, an artist with iwi connections to the area. 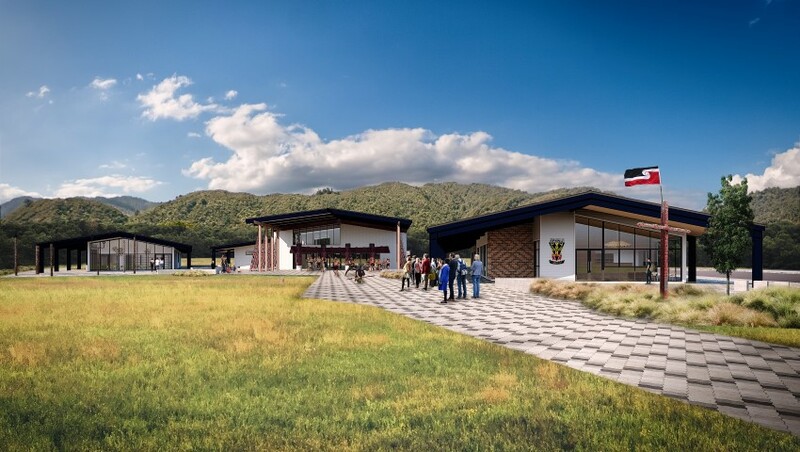 The resulting design is a collaboration of many stakeholders, tells the story of their history and holds all the aspirations of the people of Te Whanau a Apanui to create a unique school for their future generations. The school is planned for a last quarter 2020 opening.